I read your recent Mac 101 column, Introduction to Calendar, and it reminded me to ask a question that’s been bugging me for awhile. I want to use Calendar’s Address Panel to add invitees but when I open it, it doesn’t show me my contacts. What’s happening? Yep, Address Panel is confounding. You’re frankly better off choosing Window > Contacts and inviting people by dragging contacts from the Contacts application to the Invitees field. But here’s what’s happening. The addresses stored in Contacts will appear in the Address Panel window only if you’ve created a local calendar (and chosen that calendar for your event). What helps make this confusing is that if you’ve created an iCloud account, launch Calendar, and then choose File > New Calendar, you’ll discover that your only option is to create an iCloud calendar. This makes sense in a world where we want to sync our events across computers and devices. But what if you don’t want to? In order to create a local calendar, choose Calendar > Preferences and then select the Accounts tab. Now choose your iCloud account and uncheck Enable This Account. (If you have other accounts that sync events such as a Google or Yahoo account, you’ll need to disable them as well.) Once you’ve accomplished this, choose File > New Calendar again. This time you’ll see no submenu. When you invoke the command a new On My Mac entry will appear in the calendar list and a calendar will appear below it. You can now reenable the accounts you disabled. 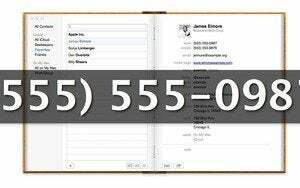 Once you’ve gone through this process you can then create new local calendars as well as calendars associated with iCloud or other calendar services. Choose any calendar other than a local one and your contacts disappear from Address Panel. And they do because when you choose a calendar synced to a server—an iCloud, Google, or Yahoo calendar, for example—Calendar wants to see an LDAP (Lightweight Directory Access Protocol) server on the other end. This is a server-based directory of addresses you’re granted access to. Once connected to that server, you can search for a name and, if it’s in the directory, it will appear among the results. The problem is that the contacts you’ve synced with iCloud and Google aren’t accessible in this way within the Calendar application. They should be if you’re using Exchange, however—as you might for your company email. Which brings me back to “You’re frankly better off…” because, for the vast majority of us not using Calendar for enterprise scheduling, this window is entirely useless.